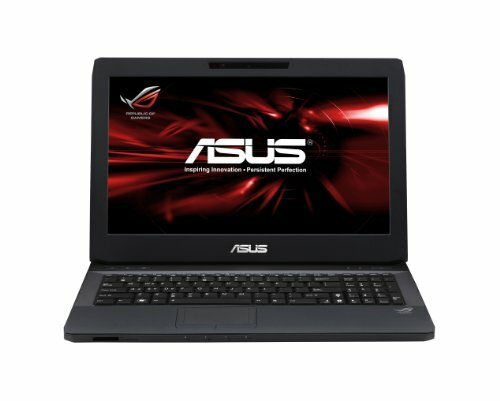 I purchased the Asus laptop based on a recommendation from my son, who has had an Asus for the last 2 years. The G53SX is a great PC! It was delivered early and was exactly what I had ordered, all parts in place and ready to rock and roll! I wanted a good gaming machine for Lord of the Rings Online, and it is just perfect for it! The HD screen is wonderful. It's a somewhat heavier laptop, but I chalk that up to the fact that it is made out of sturdy, quality, materials. Oh, one thing that I should mention is how quiet this laptop is. Compared to my older HP laptop, I barely know I am running anything, even my hi-def game! And it is super-cool, temperature-wise, too! I've had it for about a month or so and am very happy with it! Just got this from J&R as it's local. What a beaut! - This laptop looks and feels like my perfect ideal for a laptop, understated (no crappy chrome-esq plastic, big glowing lights etc)just a very nice matte black soft finish, nice lines, small(ish) logo, everything looks and feels so solid it just comes together and seems right, a good weight, its not trying to be sleek and light, its just doing one job (high performance) and that is how it looks and feels, I will put up with the weight (not that bad in the included rucksack). So my first impression is very favorable. So I'm in the process of getting all the software sorted out, which i guess is fun. Im gonna cut straight to what you gamers want to hear. This laptop can run skyrim at MAX settings, and ittl get a TEEENY bit choppy in towns. It can run SWTOR at max settings, and same as wow, my slow interet speeds slow the loading of the Republic fleet on a busy day. It can run Tf2 at max settings, even when i use console commands to DOUBLE the gamespeed on offline practice mode. It runs minecraft at full settings without flaw.